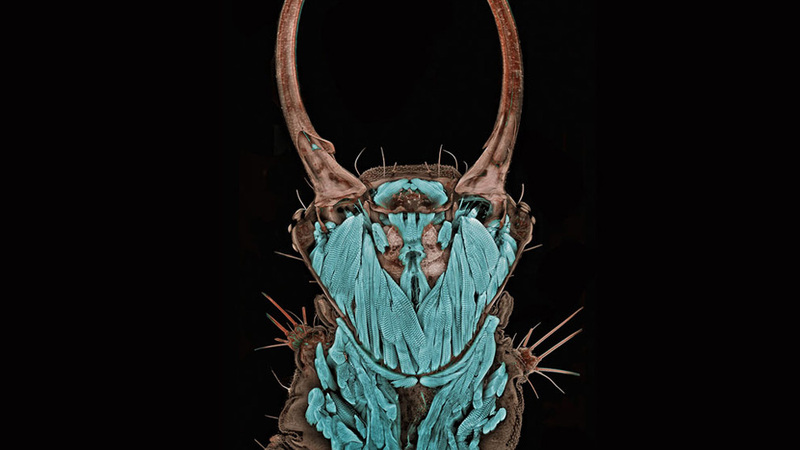 The image you see up there was taken by Dr Igor Siwanowicz, and it depicts a common green lacewing larva. Clearly posing as some sort of demon ready to eat your soul through your face. That's what I see anyway.